The most beautiful day of your life is here – your wedding. And your partner loves everything ethereal. So plan yourselves a church wedding. The best part of it is you already have a beautiful backdrop. It just needs a decorative facelift. Let's discuss how to plan the décor in keeping with your taste, personality and at the same time not disturbing the opulent grandeur of the church. Discuss all the rules of the church with the administrator to avoid any future altercations. 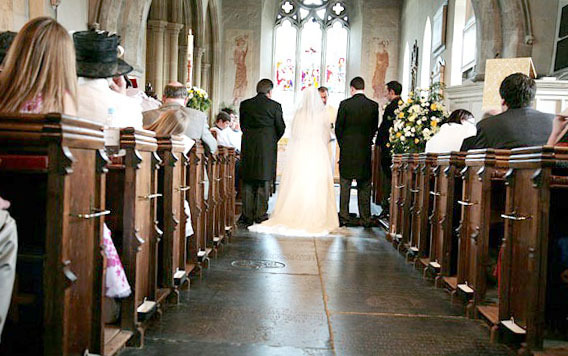 A church wedding can be either grandiose or kept simple. It depends on the budget you choose. If you are confused on how to plan your wedding decorations, imagine the whole setup as a ring of marriage and the altar as the diamond. All the standing displays are little stones surrounding the ring. Standing displays can be placed quite elaborately. You can even rent floral displays from the decorator. Place latticework walls and candleholders can be stuffed with decorative fabric or fresh flowers. Potted plants can be rented from the local greenhouse. 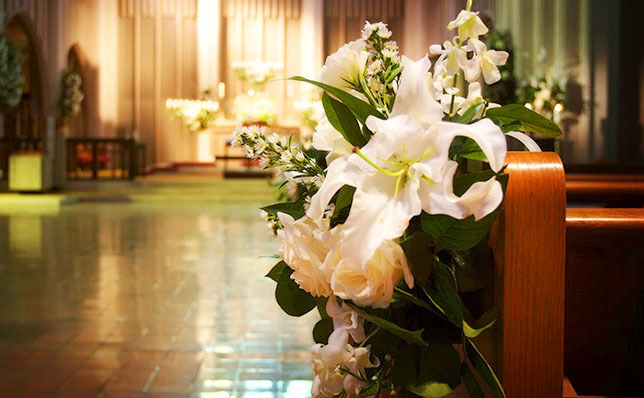 Floral displays can be placed at the entrance and on the pews, even at the church windows. 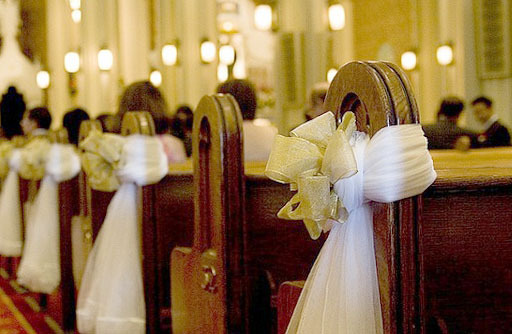 Pew bows can be used as markers for your special guests. Decorating the church for a wedding can be a very elaborate affair. But don’t compromise on your taste, as it is your big day.